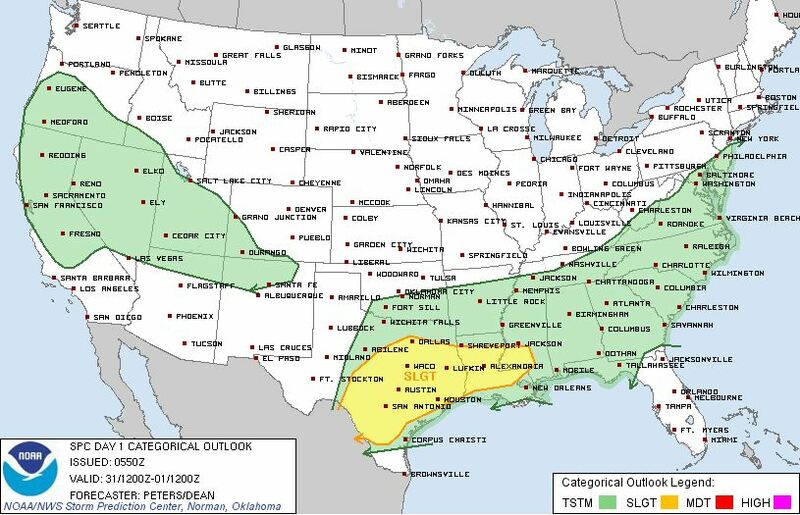 As a cold front moves through the area on Sunday there will be a slight risk for severe storms. The cold front will move through the north half of Texas in the morning hours and the southern half during the afternoon. The main severe weather risk will be from large hail and damaging winds with the stronger storms. Please be cautious if you have outdoor activities as lightning will also be a hazard.